Kejriwal made this statement following a tweet of Leader of Opposition in the Punjab Assembly Harpal Singh Cheema that AAP MLA Naresh Yadav has been acquitted by Sessions Court from sedition charges. 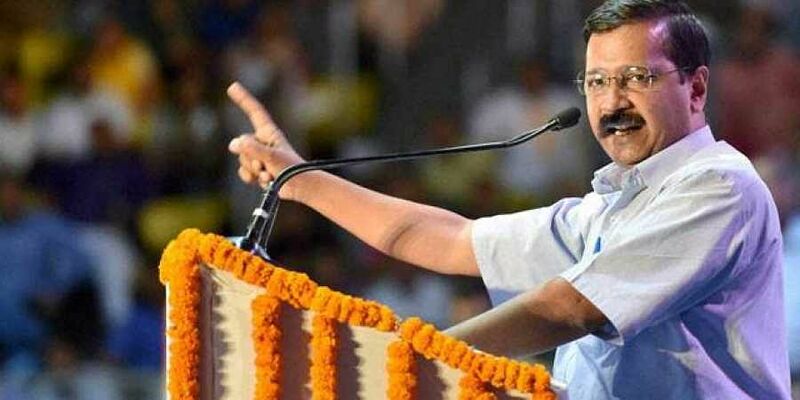 NEW DELHI: Aam Aadmi Party (AAP) supremo Arvind Kejriwal on Thursday said due to 'political vendetta' false and baseless cases were filed against its party leaders across the country by the other parties in power by misusing enforcement agencies. Kejriwal made this statement following a tweet of Leader of Opposition in the Punjab Assembly Harpal Singh Cheema that AAP MLA Naresh Yadav has been acquitted by Sessions Court, Sangrur from sedition charges under section 124A of IPC during Malerkotla sacrilege case and now CJM trial would take its course. Reacting to Cheema's post, Kejriwal said, " This shows that completely false and baseless cases have been filed against AAP leaders all across India due to political vendetta. All cases are being dismissed by courts. These cases show how police and enforcement agencies are being blatantly misused by every party in power." It may be mentioned that on Wednesday Kejriwal attacked Prime Minister Narendra Modi after the Income Tax Department carried out raids at different locations linked to Delhi Transport Minister Kailash Gahlot, and asked asked the latter to apologise to the people of Delhi for constantly troubling the Government elected by them. His party had also accused the NDA led BJP Government at the Centre of unleashing Central agencies against it to 'intimidate' the party.